Written in the heydey of the 20th century magazine era, Lemuel De Bra’s The Truth about Writers and Writing is an interesting article from 1924 about the realities of writing from someone who made their living writing magazine fiction stories. In a lot of ways, things were far easier for writers in De Bra’s time- it was an era where printed fiction was still the main entertainment media and even radio hadn’t quite taken off yet. 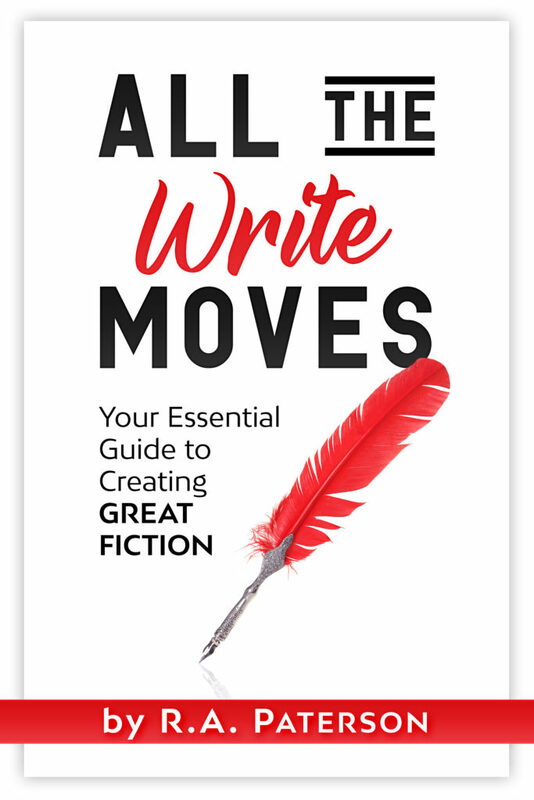 People read, and they read a lot, so writers could make their living doing something they loved without having to quite jump through the hoops they do in the modern publishing industry. But, at the same time today might not be such a bad time for writer’s either. The possibilities of connecting people with stories through the internet are still being explored, and who knows? We might just be on the verge of another renaissance in the print media. Net fiction hasn’t quite caught on yet because people still like printed books, but once the non-print experience is as comfortable as the print one perhaps we can see a day when more people can again make a living writing for others. 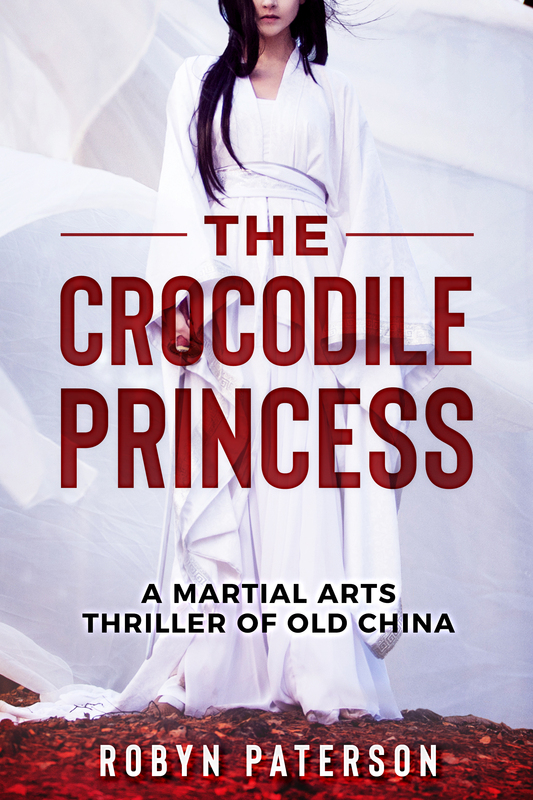 I’m running into an interesting question as I work on Crocodile Princess- since this is intended to be an audiobook should I be writing it to be read aloud or read like a book? What I mean by this is that I’ve found I’ve been writing it with the intention to be read aloud, but oral storytelling rthyms and strutures are different than traditional print ones. In conventional works of fiction for the most part you write in proper stardard english grammar, but real people don’t speak that way- they speak in sentence fragments and with unconventional rthyms. The first is meant to be read, the second is meant to be real aloud. The second almost bears more resemblance to a poem in structure and loose grammar, but especially when read aloud will sound more pleasing to the human ear. Right now I’m working towards a bit of a compromise between the two, although when in doubt I’m going for something that sounds better read aloud. It will make my grammar look a little weird, but hopefully it will make the audiobook version sound that much better. Here’s another interesting factoid- part of the reason I initially had a lot of interia with my audio dramas was from doing the audiobook readings. The audiobooks make up about 9000 of my site’s total downloads, even though I effectively took them down almost 7 months ago (they were still available through the KFAT blog as well until recently but not on the podcast feed, and now that’s gone too!) and I believe it was when I lost those audiobook listeners who hung around that’s when I had the real slump in my ratings. Simply put, audiobooks are just damn more popular than Audio Dramas. Sad but true. Which is in part why I decided to start branching back out into both. I should add an extra comment to go along with that, though. Just to keep things in context. Since I started in August 2006 my podcast feed has had 27,000 listeners, of which 9000 (as noted above) were Audiobook listeners. That still means Audio Drama listeners make up more of my listenership, but since there are more of them than the audiobooks each audio drama has fewer listeners. This week, I started something I haven’t in a very long time- I started to write a novel. I had tried to write novels before in my youth, but it never seemed to come together and I couldn’t seem to finish them. Looking back now, I can see this was mostly my own inexperience with storytelling kicking in, and that I just wasn’t ready for such a project. Now, with 30 audio dramas under my belt, I have decided to take a run at it, and what an amazing experience it suddenly turned out to be. The biggest shock has been going from writing audio drama, which is an extremely condensed and concise form of storytelling, to writing general prose and discovering the freedom that comes with it. Suddenly it doesn’t matter how long my scenes are, or how many characters I have. I don’t have to worry about background noises, music or sound effects. There’s a complete different set of limitations of form to consider, ones which are actually much broader than my audio work. My writing, which now feels like it’s been unknowingly cooped up in the house for the past two years, can suddenly fly free in the sky and go where it wants to go. Of course, I’m not going to stop writing audio drama, I love it too much to stop. ^_^ So don’t worry about that. And in fact, I think I can credit much of what I see as an incredible leap in my writing ability to having been forced to write the very constrained form of audio drama for so long. By writing audio drama I had to master the art of storytelling through dialogue on a level most regular authors will never venture to. It really honed my writing skills, much as I’ve often heard journalists claim writing newspaper copy honed theirs, and I think I’m a much better writer for it. You can judge yourself, of course, when Little Gou’s first prose adventure serial debuts sometime in the future! Something I keep coming back to in my discussions with others about writing and producing audio drama is the issue of clarity. To me, the first commandment of producing audio drama is “thou shalt not confuse thy audience”, because in a form like this that’s 100% reliant on the listener’s imagination it’s really easy to lose them, and a lost audience tunes out in more ways than one. How do you lose an audience? Let me count the ways. Too many characters that sound the same. Sudden scene shifts with no indicators. Lots of action with no points of reference as to what’s happening. Poor use of sound effects. Forgetting that not everyone has seen the same shows/read the same books/listened to the same music/etc that you have. Too much reliance on in-jokes- personal or cultural. Forgetting who your audience is, or worse, not knowing who your audience is! There’s more, but I think that list wll do for now. Any of these things can completely kill an audio drama for the listener, especially a casual listener who has no real reason to stay or continue listening if they’re bored or confused by what they hear. What’s the solution? That’s the easy part, ironically enough. It’s to know your form (what can audio do and what can’t it do? ), know your audience, and know what you have to say to most efficiently convey what you want them to get from your show. Often that means minimal cast, careful use of sound effects, sometimes narration or explository speech, and a clear focussed story that knows where it’s going and takes the best possible path to get there. A friend just mentioned to me that she knows of someone turning out a full 20-30 page script in 45 minutes. That’s astounding! O_o! My own writing speed when it comes to audio drama scripts is about 6 hours for a 20-30 page script. The time seems to fly by while I’m working, but when I look at the clock usually about 6 hours worth of time have passed to produce a single first draft. Of course, I rarely write scripts in one sitting. Most of my scripts are written in 2 or 3 sittings, depending on how hard the script is and how things are flowing. Sometimes I have to force myself to sit down and just write, since it’s all too easy to plan instead of write. Hmm…I guess I’m not including planning time in that 6 hours either, and I do spend a lot of time thinking about scripts as I plan them. As I try to have hooks or twists in my scripts, and most of them are meant to be self-contained stories it takes a lot of extra little planning to make sure it all fits together well. So, how long does it take to put together a script? I guess the real answer is- as long as it takes to do it right. Jeffrey Bridges, the incredibly devoted executive producer of Pendant Productions just posted a blog entry outlining the process Pendant shows go through from idea to production. It really is like a professional studio over there! Amazing work, Jeffrey! While the process for a one-man show like KFAT is much simpler, it shows you how many hats an audio producer needs to wear and what they need to think about as they produce so I thought it was worth sharing on here too. Sine Language- the Japanese art of writing combat. So, I’ve been reading a lot of the Naruto manga recently. Like it (which I do) or hate it, Naruto really is one of the most popular comics and anime on the planet, and it’s struck a chord with young people everywhere. As a result, I’ve spent a lot of time reading the manga both for enjoyment (it’s easier when I justify buying them as “research” ^_-) and to deconstruct the storytelling methods he’s using to find out how and why they work like they do. I’ve long believed that manga are the key to pushing audio drama production to the next step, as they have a lot of innovative storytelling techniques that I believe can be adapted to the audio form to make it stronger and more vibrant. Comics are stories told in words and pictures, whereas audio dramas are stories told in words and sound effects- very similar in so many ways. I keep meaning to sit down and do a full analysis of their similarities, and maybe someday I will, but for now I’m focussed on just learning what I can from one medium to improve another. The aspect I want to talk about today is combat, which is important to me because I’m writing action-adventure stories that involve a lot of fighting and conflicts between characters. The Japanese long ago mastered the art of writing combat scenes in their mangas, techniques that Naruto is using to the fullest, and which I wanted to see if I could apply to audio drama. Of course, to do this I first had to figure out what they were doing! Something I’m still figuring out, but I have reached at least one conclusion that I’m ready to share. I told one of my closest friends (who’s in the entertainment industry and also studies the Japanese storytelling methods) about my thoughts on the subject over the phone last week, and he immediately replied: “Oh, you mean the Sine Wave“. Round One: A and B rush in and attack each other, neither has the upper hand and they back off. Pause One: A has a flashback to how B was his rival for the woman they both loved when they were young, it makes him angry and drives him to attack again! Pause Two: Another flashback, this time to his master training him and telling him how much he regretted training B. But, now that B has run away with the girl, A should forget her and devote his full attention to the studies at hand. A swears he will never give up, and always keep fighting! Pause Three: B tells a tale of how he and the love escaped together, but over time she came to realize she loved A instead, and wanted to return. The girl tried to return to A, but B in a drunken rage killed her by accident and then found himself a wanted man on the run from the police. He regrets what happened, but he also blames A for her death, if only A hadn’t been in the way, B and the girl could have been happy! Round Four: Both men dash at each other again, they fight and this time B is wounded by A’s sword when he suddenly fails to block an attack. A steps back, shocked. Pause Four: B thanks A, and explains he wanted to die today, but not before knowing which of them was the better swordsman. Now that B knows it’s A, he can rest in peace, and will be the first one to see the dead love in heaven. He got what he wanted, and dies. See how it goes? Back and forth, back and forth. Now, it’s not always talking or flashbacks. That’s part of the beauty of the system- the pauses can be filled with all sorts of things like other characters commenting on the fight, other events occuring elsewhere at the same time, inner monologues and witty banter. All that matters is that it’s relevant somehow to the action which is occuring and gives the reader a chance to rest between rounds of combat so it can build up to the next level. You might wonder, do Americans do this? The answer seems to be “not so much anymore”. American fights now tend to be fast non-stop affairs with occasional pauses to reload, and those pauses seem to be becoming fewer and farther inbetween as each generation of hollywood action filmmaker tries to make their films even more boring…err…I mean intense! Perhaps as the Japanese influence continues, it will start to shift to this method (which isn’t perfect, but is pretty good! ), but right now there is definitely a difference in approaches and styles. So how can this be applied to audio drama? Well, the most obvious part is that audio drama’s greatest weakness is in it’s presentation of combat. Because combat is generally a very visual thing, just hearing sound effects doesn’t usually carry it well, and combat in audio drama without some form of narration tends to be very short because of this. Even with narration, it’s hard to make combat last very long and keep it interesting because the audience can’t see the elements that make combat cool and interesting in a movie or TV show. To a degree, I believe this Sine Wave approach can help to overcome that by turning the shortness of the combat itself into less of a liability and more of a building point. By jumping back and forth between the combat and downtime the fight can be made to last longer, and become more intense by virtue of being given the chance to build towards a more dramatic climax. Some of the techniques the Japanese use are too visual, and would be hard to do (jumping to events occuring elsewhere might be tricky unless handled well…) but generally I think this is a viable technique and I look forward to testing it out in my future works to see how far I can take it. I’ve just finished producing 2.3 of the hardest minutes of audio production to write- my Promo. Ironically enough, it was written in less than 40 minutes (to you who say “it shows”, my reply is “you know where the find the exit” ^_-) but that made it no less difficult to come up with. In reality the writing wasn’t so much the hard part as was the idea. I went through sooo many Promo ideas over the year and a half since I made the last KFAT promo (which was for my old audiobook podcast, not the audio drama one!) but none of them ever seemed to gel. Most of them were about Little Gou having some (very) short adventure/situation that turned into the promo, but I did consider various mix-montage promos (made up of clips from my shows) and other types such as plain old me talking to the audience. I’ve heard all of these done with effectiveness, and turned into good promos, but I wanted to do something different. I guess that’s one of my flaws as a creator, if I can’t do something a little different, I don’t really want to do it. I suppose in the worst case (since I’ve had people asking me for promos to exchange for a while) I would have just gone with a me talking to the audience promo since it’s the simplest and most effective in my opinion. But, I held out for a better idea, and suddenly as I drove to work yesterday morning it hit me- I knew exactly what to do and how to do it. Thus came the promo I whipped off at work and mailed to myself, the one with little change you can hear as the KFAT 2008 promo. I think it reflects the group, and manages to be entertaining at the same time, but only time will tell.